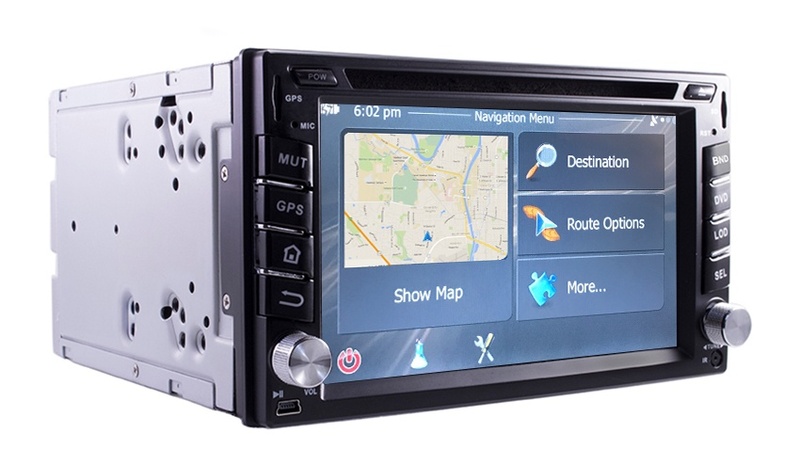 This 2 DIN 7’’ GPS Navigation you will get where you need to go in no time! Easy to use full touch screen will only take minutes to learn. Just plug it in, turn it on and drive! A few taps and you will be on your way to any address or point of interest in America (World maps available too). Are you low on gas? The GPS will direct you to the nearest station so you will have nothing to fear! Feeling hungry? Let the Tadinav help you find a place to eat! From McDonald's to Spago’s it will lead you there. Beyond the navigation this unit also comes with an internal car DVD player (Standard in all our Tadinav models) the 7’’ Touch screen plays DVD from all regions. It also works with all our back up cameras and allows you even to hook up your Bluetooth enables cell phone. So when you make a call or receive a call, the person’s number will be displayed on the screen. It also uses the speaker system in the car so that you can hear perfectly. The Tadinav also has a unique iPod connector that allows you to play music directly from your iPod/iPhone/MP3 player with onscreen play list navigation. This unit is as good as it gets. It also has an internal Digital TV tuner for your enjoyment. If that’s not enough entertainment to calm the family down, hook up your favorite game systems and play till you run out of gas. The system is also BLUETOOTH capable. So you can pair your phone to it and make phone calls safely while driving. This unit also has a backup camera feature that allows you to hook up any backup camera to the system and when you put your car in reverse the Tadinav will instantly pop on the camera so there is no fiddling with the unit on your part. In addition, the Tadinav contains all standard features every other radio gives you like (AM/FM Radio and CD support) but with our additional features you will forget what Radio and CD’s are. Finally, the Tadinav has Video/Audio outputs so that you can connect it with any or our roof mounted DVD or headrest units.